Personalize your pet's collar with the Clear Bling Lettering Slider Charms from A-Z in 18MM from Mirage! 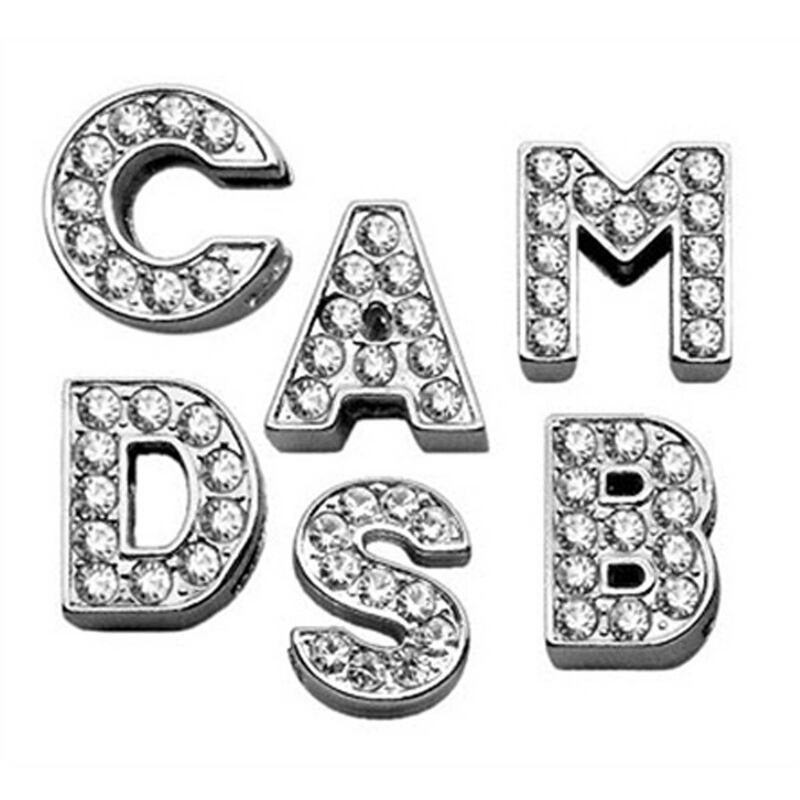 For the world's most pampered pooches, our 18MM Clear Bling Lettering Slider Charms give a fancy personalized look to your pet's collar and other items. These 18mm letters fit most collars with the 18MM slider option. Make your own name or fun saying to bling up your pet's look. It's not just the little purse pooches that like to feel fancy. We love that these charms are available in a larger size so the bigger dogs can sparkle too! 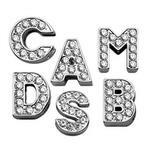 Your pet will feel like a glamorous movie star with their name done up in "lights" in these sparkly, high-quality slider charms created with Czech crystals. Use these letters in crafts and in other creative ways to highlight your love for your pet. You're only limited by your imagination! You could even personalize your own items with these pretty charms. 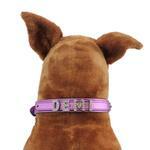 To accent your pet's sparkly personality, consider adding some of our other slider charm accessories (sold separately.) We have several charms to choose from including paw prints, aviator hearts and more. There's no such thing as too much bling! These versatile charms could be used in various ways and can help make a lovely tribute for pets that have crossed the rainbow bridge as well. These crystal letter charms by Mirage are a BaxterBoo.com staff favorite and are known to be durable and resist tarnishing. Posted On 01/18/17 by Stephanie C from Kissimmee, FL Yes, Stephanie C recommends this product! With her new purple collar with a Bling-Bling Buckle she looks like a Hollywood Diva and she knows it..
Posted On 12/17/16 by TINA S from Silver Creek, GA Yes, TINA S recommends this product! I order the letters and I liked them. I had to order some more. Posted On 07/04/16 by Jane D from El Cajon, CA Yes, Jane D recommends this product! Looks great on Evie's crocheted scarves and/or crocheted accessory collars. Very pretty but only works on a special collar. I came across the Baxter Boo website when I was searching for new boots for my mid size lamb Trixie. I had gotten her Velcro boots from Petco but found that they were difficult to put on, and often times came loose while we walked and especially if she was in the snow. One fell off and I knew it was time to switch. Feeling the default fault of Velcro (once the snow gets in there it's useless) I searched for zip up boots and a link to Baxterboo.com came up in my google search. After locating zip/Velcro/and tie boots, I cruised around and found a jacket in tartan that would replace the one she had that didn't fully cover her neck or chest. Had to stop after that before I spent my whole next paycheck!